Let me start by saying I am not a camel expert. Some of what I know about camels, I have learned from reading throughout my life. Some I learned yesterday when talking with colleagues – people who know more about them than I do. I however have become more interested because of my recent personal experience. 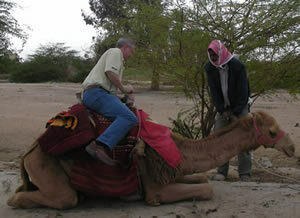 Yesterday, as the picture shows, I rode a camel. The ride and the conversation got me thinking about lessons that are important to all leaders. None of these lessons will be new to you, and yet, perhaps they will serve as a reminder and just maybe written in a way to make them fresh for you again. I hope so because these lessons, when applied, will make a massive difference in your leadership results. In grade school you likely learned that camels are able to go several days without food and water. 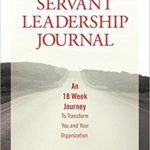 While I am not suggesting that leaders must fast (though losing a few pounds wouldn’t hurt me), I am suggesting that as a leader you must get better at using the resources available to you – using wisely and making resources available when they are most needed. You have reserves of energy, focus and discipline (as well as more tangible resources as well) both for yourself and for those you lead. 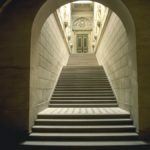 What are you doing to create a storehouse of important resources to be available for you and your team in the future? Leaders must be able to take the heat. Camels live in the dessert. They are designed for hot weather and in that weather they thrive – and provide their greatest service. You might not live and work in warm (or hot) climates, but the lesson shouldn’t be lost. When things are difficult, when there are challenges, when the heat is on the team, project or organization; that is when leaders are most needed. Are you willing and able to take the heat for challenges and difficulties, making it easier for your team to remain focused and productive even in adverse conditions? Leaders must be able to see into the distance. I don’t know much about a camel’s eyesight, so I don’t know how far they really can see, but I know how tall they are! Getting a higher perspective allows them to see more and see further. Leaders serve their teams and organizations making sure they have a higher and broader perspective. As a leader you must create opportunities to get a higher view, get a different perspective. From this vantage point you can see your destination more clearly; you can more easily see obstacles and challenges. 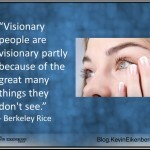 As a leader both are important – seeing the vision and the obstacles! 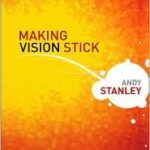 Are you proactively keeping your sight on the future and helping your team see the vision of your desired future? Leaders must realize they exist to serve others. Most everyone knows camels are domesticated animals, and they have been bred and chosen because they serve man in very specific and helpful ways. The thing that most struck me about riding a camel wasn’t the riding itself (though it did give me a fresh perspective and higher vantage point), but what the camel did to help me get on and off. The camel got down on his front knees, then down on his back knees, putting himself in what seemed to an uncomfortable position; a serving position. The metaphor was powerful for me. In each of these four lessons the idea of leaders as servants comes through. To lead in remarkable ways you must recognize that it isn’t about you – it is about those you are leading. I am sure the camel would prefer to not have a person riding on it – and sometimes as leaders it would be easier if others weren’t following. Yet, like the camel, you must choose to serve in order to fulfill your destiny. In what ways are you serving others today? Great insights, Ken. A fifth point: Leaders must be willing, personally, to carry a massive load. Excellent point – though I hope that wasn’t a comment about my weight! 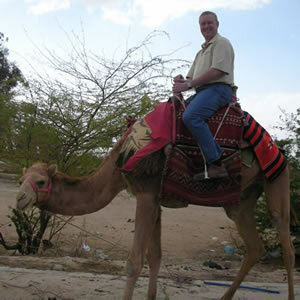 Great camel analogies for leadership, Kevin! And…leaders must be willing and able to go the distance. For camels are built for endurance, and like leaders, can take you further than you would venture on your own. Excellent post as usual, Kevin! Your camel ride experience analogies are EPIC. 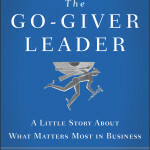 I agree that the lessons learned here, when applied, definitely make a massive difference in leadership results. I loved this article! So true – and I’m going to refer to this post in my blog tonight!